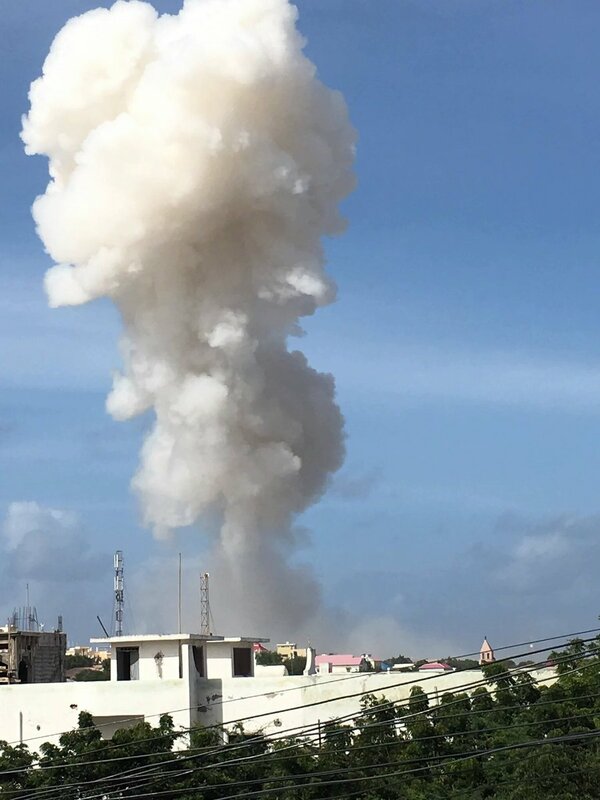 Somalia: A massive explosions heard near the airport in Somalia capital, Mogadishu, local media of Somalia said. According to a local Journalist, Harun Maruf said that The twin suicide car bombs blast tearing through checkpoints near Mogadishu International Airport. After the twin blasts, a huge column of smoke is seen rising from the site of the blasts. Many people were confirmed dead in the twin blasts but there is no officially comments on this blasts yet. Till now, no terror group take the responsibility of the blast. Al Shaabab terror group is very active in the Somalia. This terror group may be the responsible for the blasts.